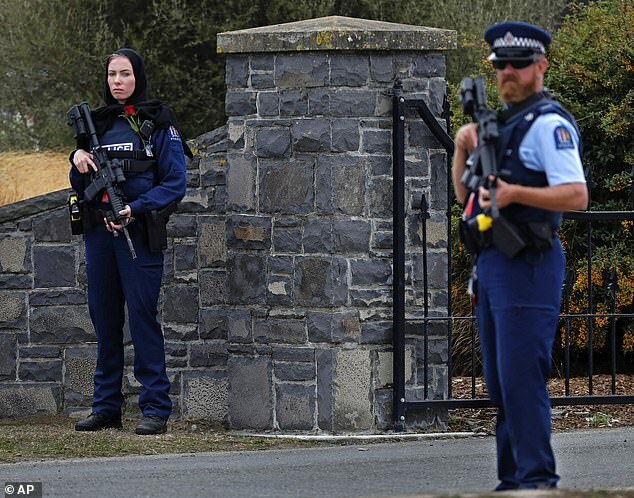 Toting a semi-automatic rifle, police officer Michelle Evans looked foreboding as she stood outside a cemetery in Christchurch yesterday. 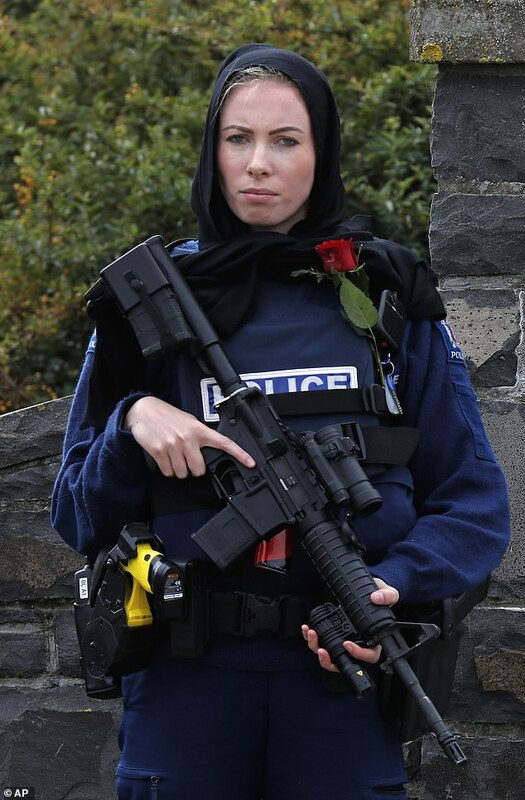 Constable Evans, is just 24, and joined the police force in 2016 as a new recruit. ‘I want my career to be here. I love Whanganui. It’s a beautiful, small town and this is where I want to live,’ she said. 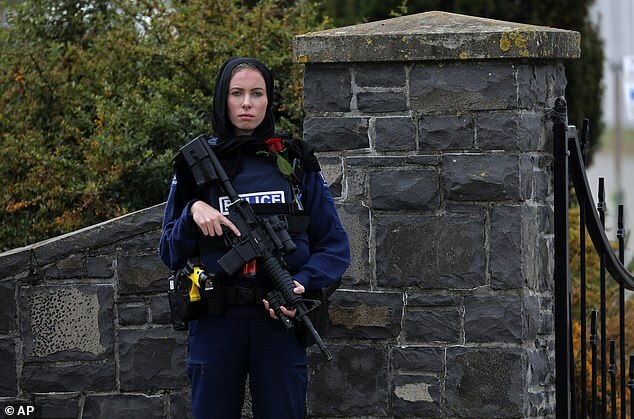 Constable Evans began after spending her gap year studying business and accounting. 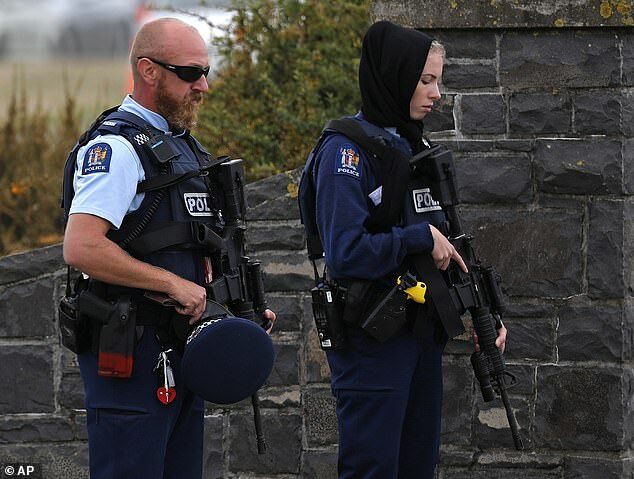 On Friday Ms Evan’s colleague took off his cap to show respect for grieving family and friends attending funerals. 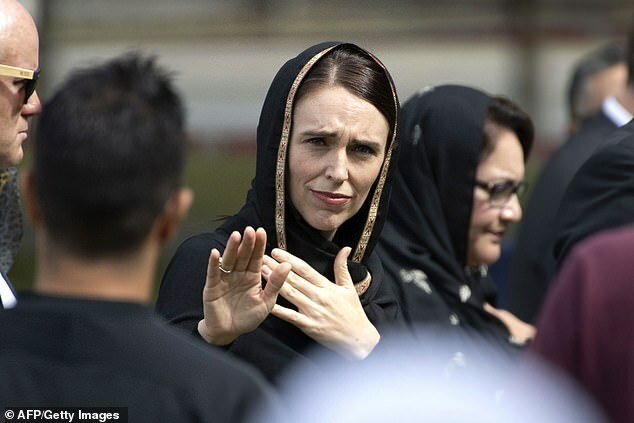 On Friday, hundreds of Muslims and non-Muslims gathered in the city’s Hagley Park opposite the Al Noor mosque where worshipers were gunned down in a horrific terror attack just over a week ago.